And you don't know is the day of the Crystal Ray ... but is not important. And only if you know the Story you can be healed and only if you are healed you can engine the New Time ... in You. Few people can ... connect the Flying carpet of Aladdin and the Arabian Nights which were Anti-gravitational with Star Wars ... Cities on the Air ... like on the High School (Sky High) ... with F35 ... which need fuel ... and is NOT Anti-Gravitational. And Saint Germain was ... the Ruler of Older Arabia ... the Arabia of Aladdin and the Arabian Nights ... with the Genius and the Lamp ... which is a metaphorical explanation ... that with God all is Possible (Mark 10:27). I can say ... Europe, Europe ... Europe ... if Europe works ... everything works ... and Europe is the connection between Mother Russia and America. In fact, Mother Russia was called Suerne ... in the times of Atlantis ... Europe was Atlantis ... and United States was a great group of Islands ... where some comes from Lemuria. In fact, United States is a Union of Atlantis (islands on the East) and Lemurian Islands (on the West) ... as well its Own Land ... in a group of Seven Continents ... originally. Older Arabia ... does not work ... they leave the Love to their own 'I AM Presence' ... the Genius inside ... able to produce any miracle and wish. 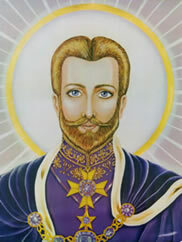 Saint Germain moves to Atlantis ... and then ... for a long time ... more than 14,000 years ... he perfect both Science (Xioqua) and Incala (The Surrender to the One Father). Thefore the names 'Xioqua' and 'Incala' are Atlantean names ... we adopt for our CD/DVD. Remembering Atlantis and healing is the Healing of Europe ... because Europe was the Capital of the Highest Technology. Therefore Star Wars ... is a recovered process of ... a War ... we lived ... in the Past about 14,000 years ago. The Fall of Man ... from the Paradise ... which was ... Atlantis (or one of the Gardens) happens at the last of the Fourth Golden Age ... when Man falls ... in its Consciousness ... as well from Air. We dominate Air ... in Atlantis and Lemuria (and Indian Rama ... check the Mahabharata an Hindu Text. Check also this chapter ... ). I, Giovanni knows these facts from 2007 and have perfected them ... trying and doing my best to let man ... return to conquer the Air Element. who teach the Pharaoh ... to become King ... though the Sacred Science: Alchemy. Thoth lived many years and then become Hermes ... called Trimegistus always in Egypt then he found the Alexandria Library and then go to Greece and was Plato. Therefore the Picture regards the Past ... we need to return ... Return to the Past? ... You can say ... Return to the Future ... because is a Past ... with more Technology like today ... the same Technology is available in most Galactic Places ... in High Dimensions ... and that ... is the Technology of the Garden ... the Technology of 14,000 years ago.